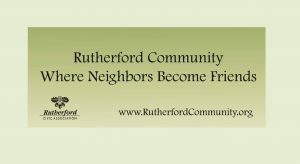 Rutherford CA Home – Rutherford, where neighbors become friends. Santa Claus is coming to Rutherford! Rutherford Community Trunk or Treat and Fall Festival, Saturday,October 28, 3-8 p.m.